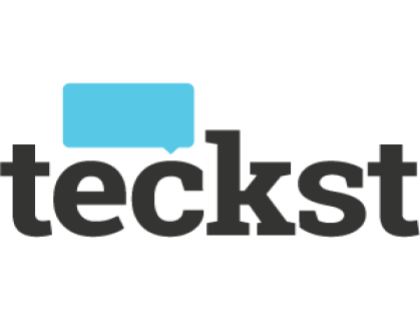 Learn about Teckst’s SMS marketing service for businesses. Includes info on Teckst, free trials, pricing, customer reviews, and FAQs. Teckst is an SMS marketing platform for businesses. Teckst’s solutions include multi-channel messaging, auto-responders and ticket management. Businesses can use Teckst to build relationships with customers through business text messaging. Teckst does not list pricing on their website. You can contact Teckst here to get a tailored quote based on your business needs. Pros: Fantastic integration capability and great customer service. Cons: Could do with a self-service dashboard for admins. Bottomline: Amazing solution for SMS marketing operations. Is there a Teckst free trial? Where can I find the Teckst login? There is no login capability on the Teckst website. You will acquire login details once you have registered for their products. What are some Teckst alternatives? The main benefit of Teckst is its focus on integration with your existing CRM, ticket and sales platforms, making it most useful to bigger businesses with large customer service departments. While great for enabling high-quality direct communication with customers, out-of-the-box bulk SMS features are limited, and you will probably need a software developer to create your desired functionality and integrate it using the API. If this is your business’ first experience handling live chat and direct text interactions with customers, be sure to brush up on the best practices for real-time interactions.